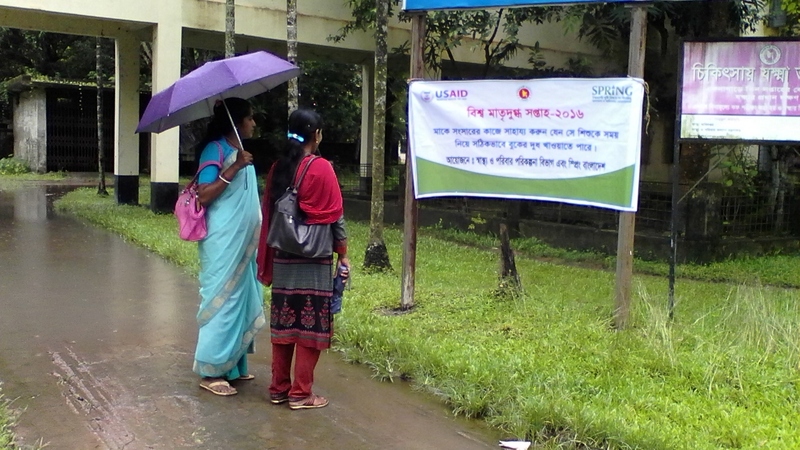 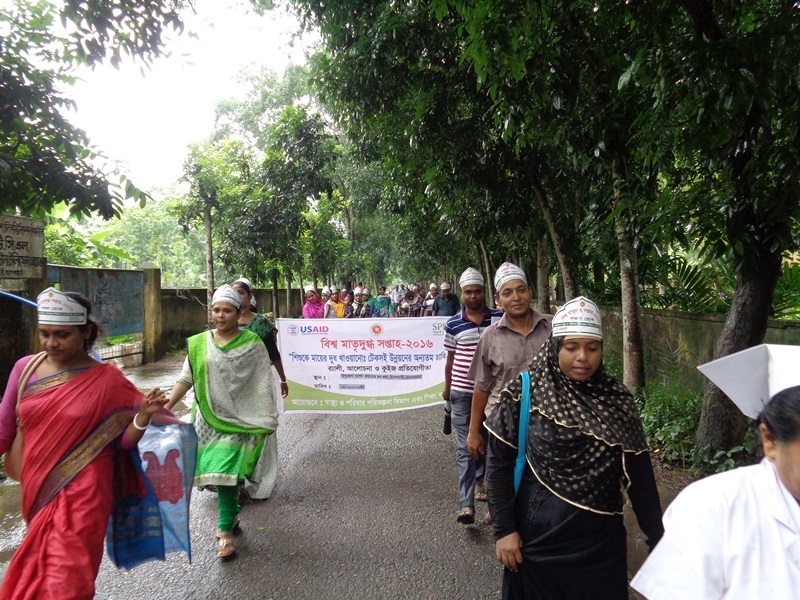 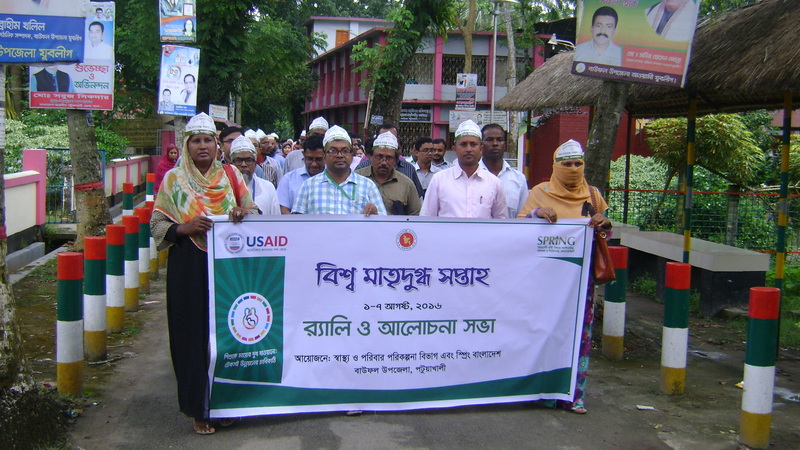 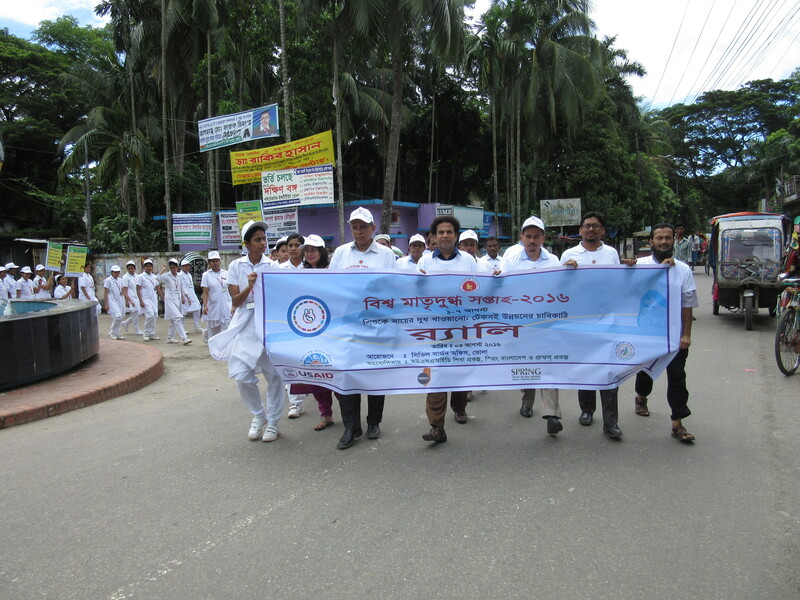 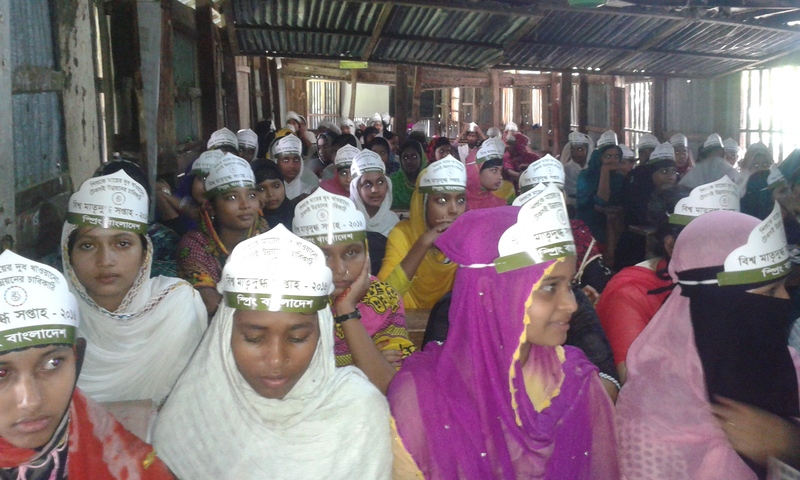 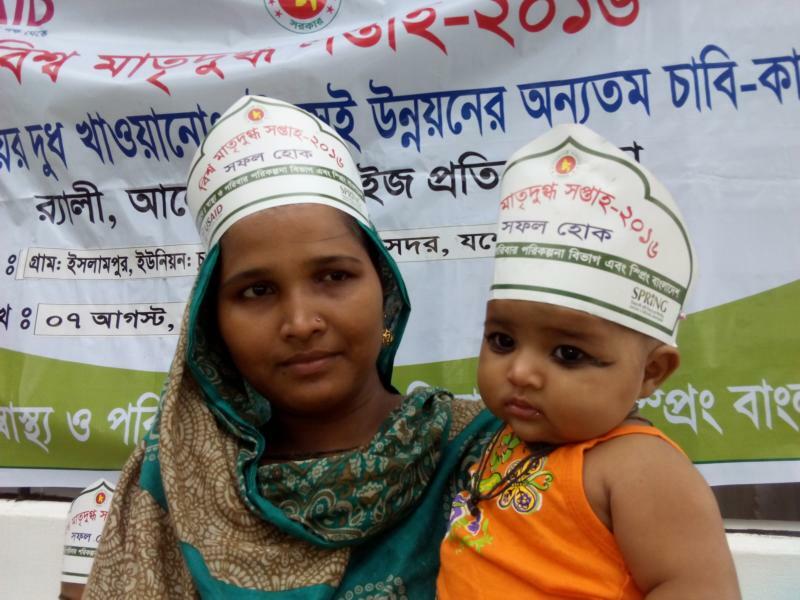 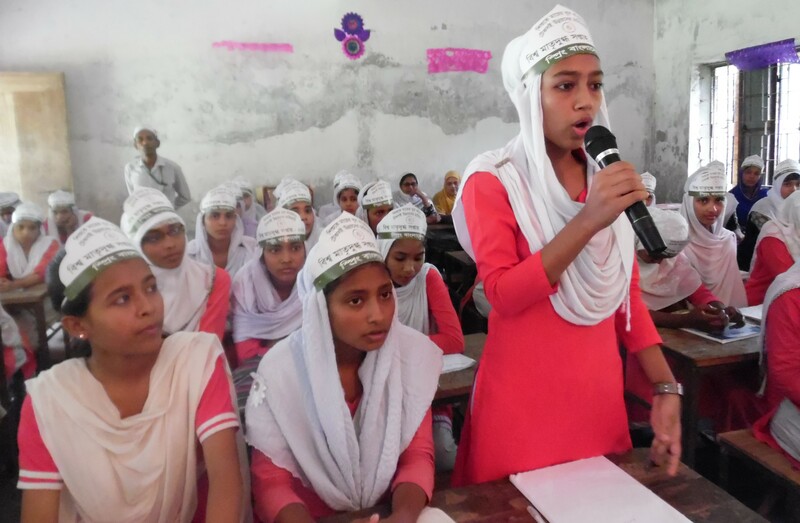 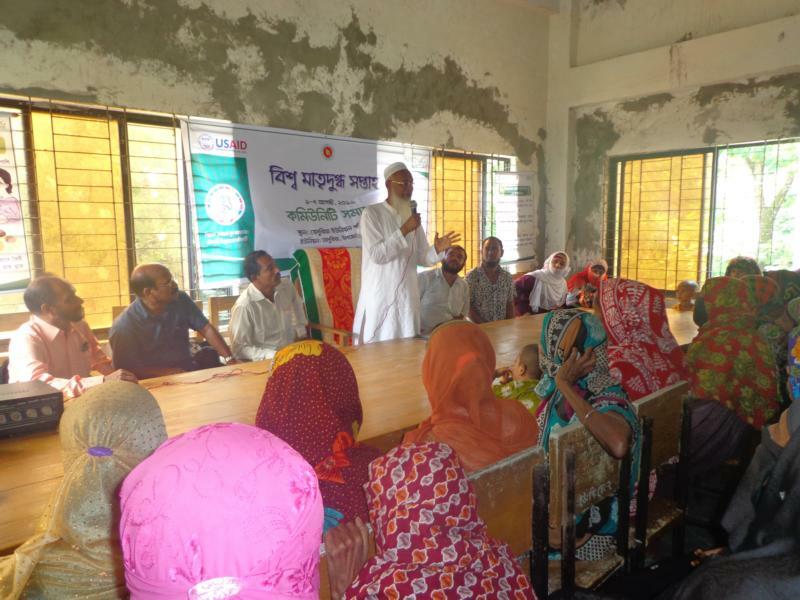 SPRING/Bangladesh observed World Breastfeeding Week from August 1-7, 2016 by organizing over 100 rallies, quiz competitions, discussions, and several dramas and music performances in all 40 upazilas across Khulna and Barisal divisions. 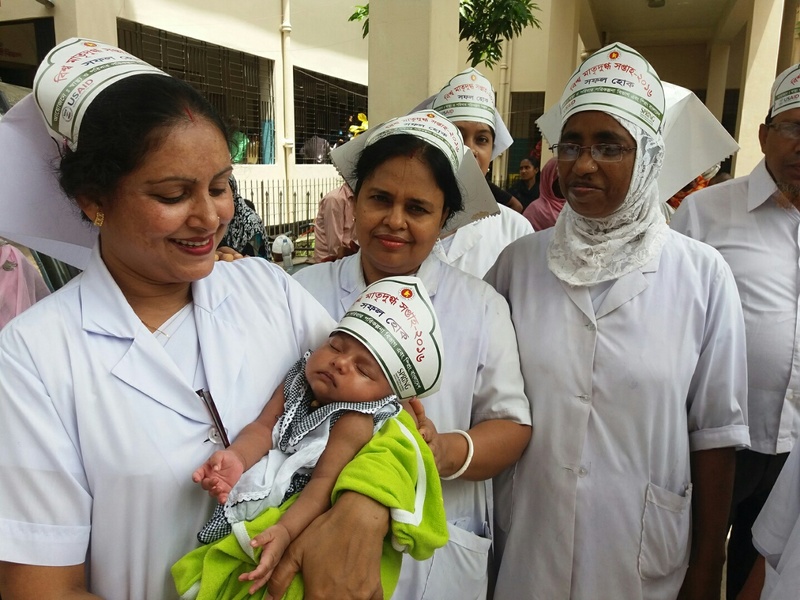 More than 100events were organized throughout the week and promoted messages on the importance of breastfeeding in the first 1,000 days. 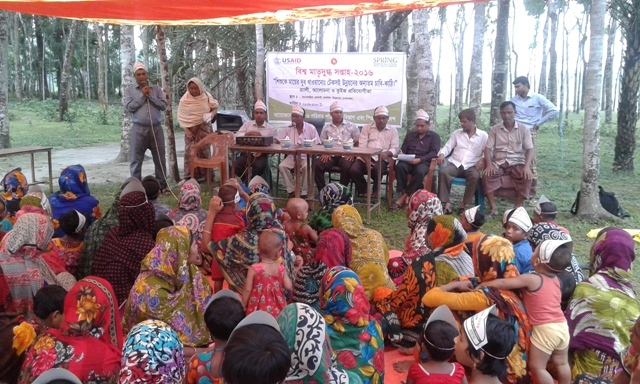 The events were attended by local-level government officials and many members of the community, including graduated members of SPRING’s farmer nutrition schools. 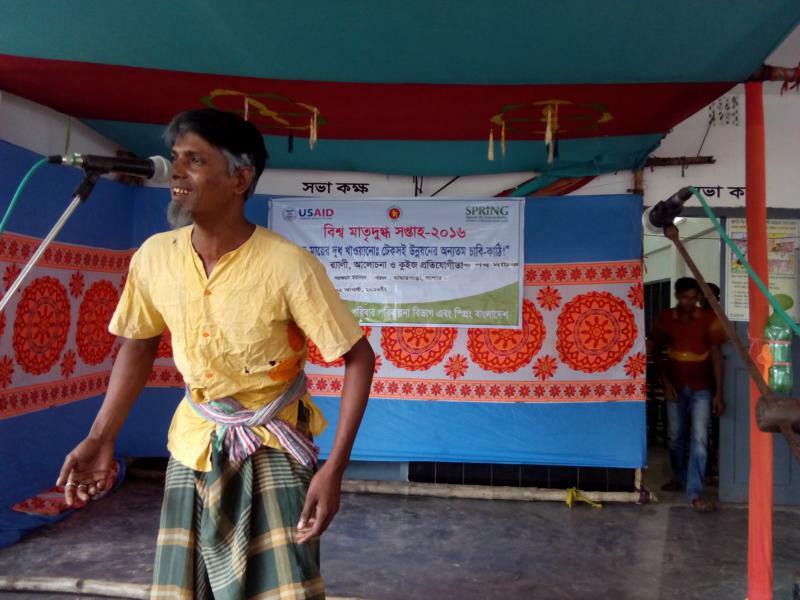 In addition, drama and music performances containing messages on the importance of breastfeeding were organized at the community level. 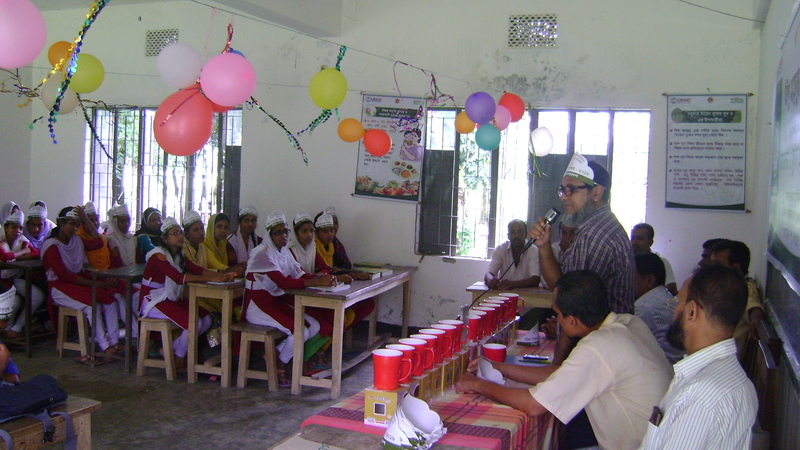 Audience members who were able to provide the correct answers to the questions on nutrition, hygiene, pregnancy health, and of course breastfeeding were rewarded with small prizes of bowls and spoons. 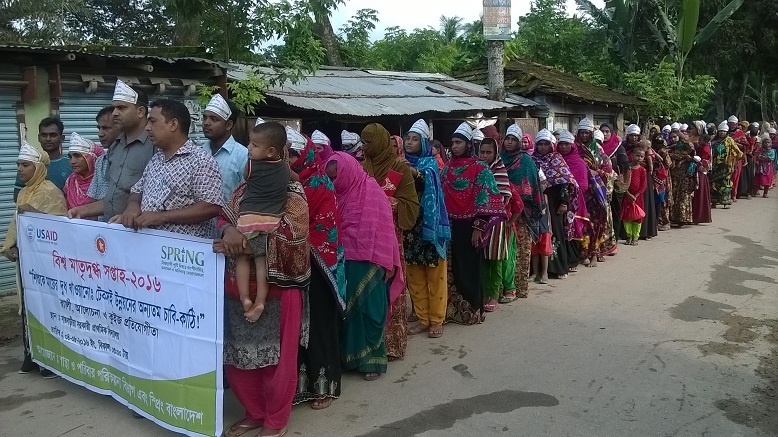 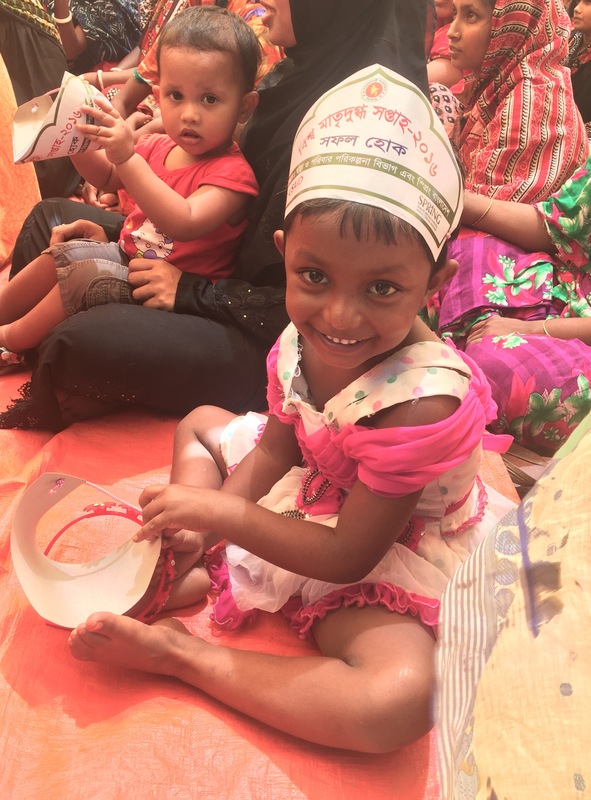 SPRING/Bangladesh has played a significant role in raising awareness and promoting exclusive breastfeeding, essential nutrition and hygiene actions, and small-scale food production for a more nutritious diet across the southern belt of Bangladesh in nearly 400 unions. 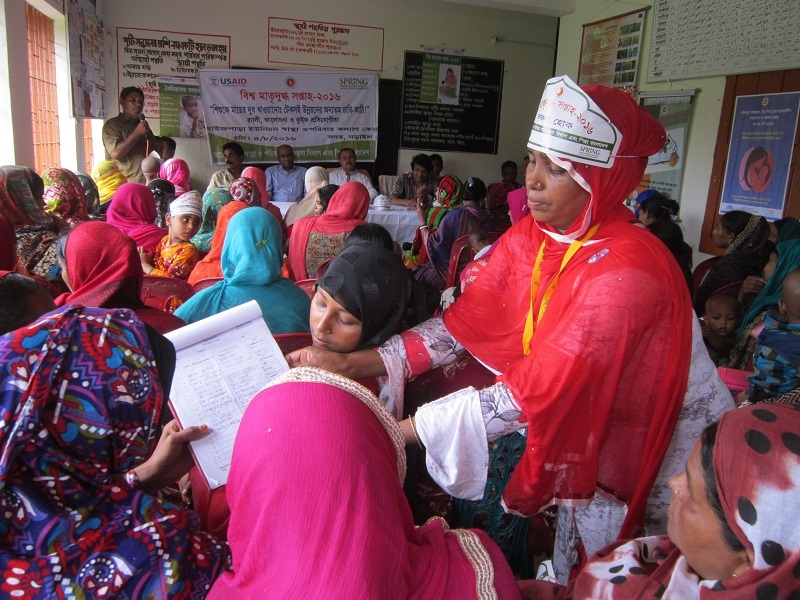 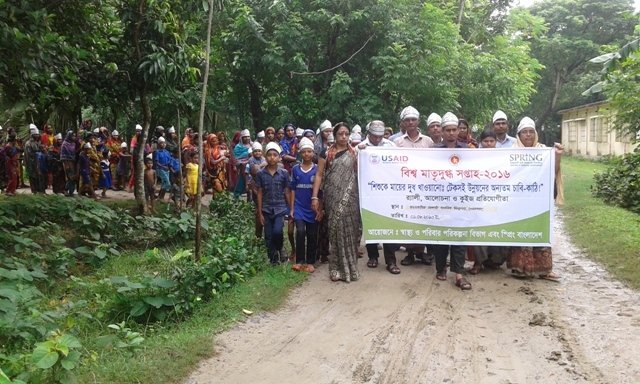 In Bangladesh, SPRING is working to support the Government of Bangladesh to scale-up the use of the essential nutrition actions and essential hygiene actions and to build capacity in nutrition within the ministries of health and agriculture from the capital all the way to the frontline workers. 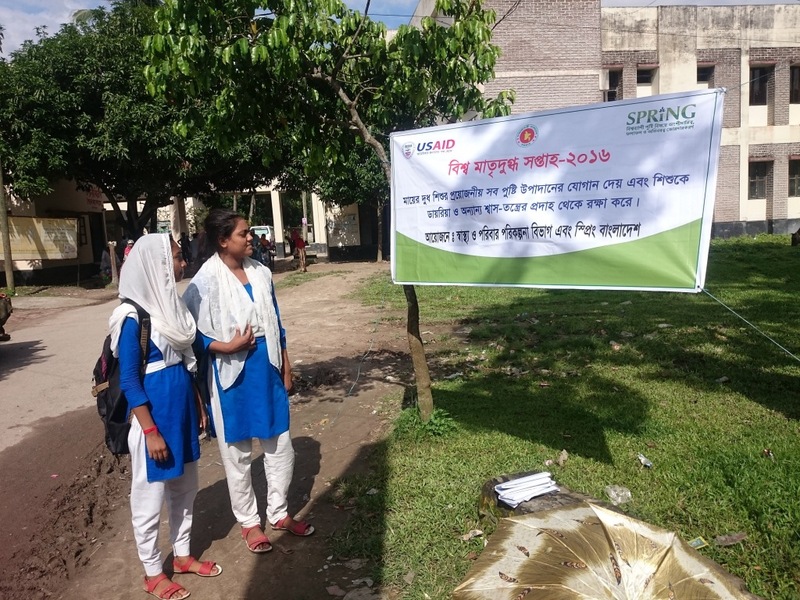 SPRING is also promoting key messages around breastfeeding through its direct interventions of Farmer Nutrition Schools, which has been provided to more than 125,000 pregnant or lactating women since 2012.